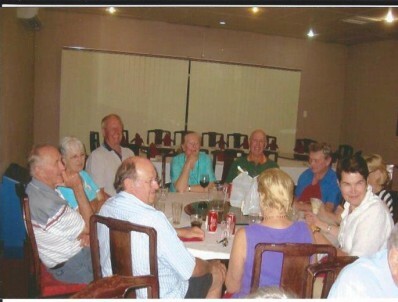 Meeting held 26th January 2013 at the home of Allan and Nicolette Moss in Tamworth NSW. 34 members attended plus 2 previous members as guests. Two couples travelled by road from W.A. in searing heat to arrive at the Moss’s place and two previous members by air in the midst of the Tamworth Music Festival. Being early meant that they could take in some of the activety. 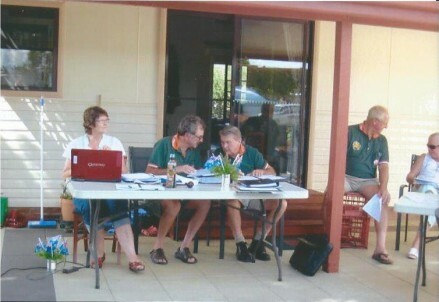 Towards the end of the week members arrived day after day from WA, SA & NSW, caravans of all decriptions arrived. Great to catch up with lots of members that went on the Tasmania Trek. Meeting was a very good one, as we combined both the Eastern States and W.A meeting together, got everything done then into the social side of things. Allan Faulkner was returned at President, with Carolyn Faulkner being elected as Secretary and Anne Bass continuing as Treasurer. 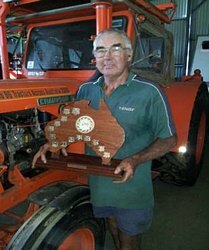 The ‘Tail End Charlie’ trophy was awarded Cedar Armstrong and was presented to him following the return of members to WA. Cedar was acknowledged as a great ‘behind the scenes ‘ member, always ready to lend a hand.